Take a microwave safe bowl and add the fenugreek sprouts. Add water and wash the sprouts to remove the stickiness. Place this bowl in a microwave oven and cover it partially. Cook the sprouts on high power for 30 seconds. Stir once with a spoon and cook again on high power for 30 seconds. After 30 seconds, remove the sprouts bowl from the oven. Hold the coconut with tongs and roast on open fire till it turns black. Cool it and cut into small pieces. Take a mixie jar and add the cut coconut pieces. Add cumin seeds to it and grind to a fine powder. Take garlic on the chopping board. Press it with the help of knife so that it gets crushed. Remove the peels and keep the crushed garlic aside. Wash and slit the green chilies. Take rice in a bowl and wash it. Add water (I have put 2 cups of water for 1 cup of rice) and place this bowl in a pressure cooker and cook. When pressure builds up in the pressure cooker, lower the flame and cook for 10 minutes. Remove the bowl when the cooker has cooled off. Spread the cooked rice in a plate and remove lumps with the help of a fork. Heat a pan and add oil to it. When oil is hot add mustard seeds. Fry till the seeds crackle. Then add asafoetida and turmeric powder. Mix and add green chilies followed by crushed garlic’s. Fry till the green chilies change color. Now add the cooked sprouts and fry for a minute. Then add the cooked rice and mix well. Add required salt and mix. Add the prepared coconut powder and mix well. Finally add a teaspoon of ghee, mix and transfer the pulao to a serving bowl. Sprouts are rich in nutrients. Fenugreek seeds are good for diabetics and they also lower cholesterol. Similarly garlic helps in reducing blood pressure. Cumin seeds are good in curing many digestion related problems. So in total this pulao is a healthy dish prepared with less spices yet is very tasty. Fenugreek sprouts will not taste bitter once they are cooked mildly. Roasted dry coconut when powdered and used gives a special taste to this dish. Garlic may be grated and used instead of crushing. Serve this MethiPulao hot with any raita or any gravy dish. 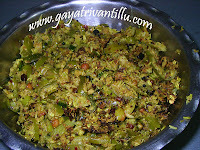 gayatri garu, thanks for ur methi pulav dish. i had this sprouted methi & was searching for a good recipe. i will surely try this in one or two days & let u know how it turned out. I have tried the Methi Pulao and really came out well. The flavor profile was really good very imaginative to counter act the bitterness in the methi with citrus in tomatoes. I tried out your Methi Pulao using Fenugreek seeds sprouts and it tasted awesome! At first I was afraid that it might turn out bitter but once I added the rice to the sprouts it was not bitter at all. 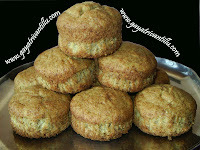 The best part about this recipe is that it is nutritious and can be made whenever there are no veggies at home. Just to suit my personal taste, added some roasted and ground coriander seeds, coriander leaves (kothimeeri) and a dash of lime at the end. Thanks for sharing this creative recipe with us. mee site chusaka chala santhoshanga undhi. 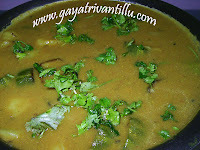 machi tips ,recipes unnayi.maaku chala santhoshangaundhi. ila mee motivation naaku chala nachindhi.really u r doing a very great job andi.inka ennenno videos andhacheyalani aashisthunnanu. I like your recipes. Basically I am fond of Brahmin type of cooking but i did not get such an opportunity.After trying your recipes , I really found what i have missed all these day. Thanks for your good recipes.